Sign Up today and receive some EXCLUSIVE EMAIL ONLY OFFERS! Please make sure to add info@hustlercasino.com to your ADDRESS BOOK to receive the offers. 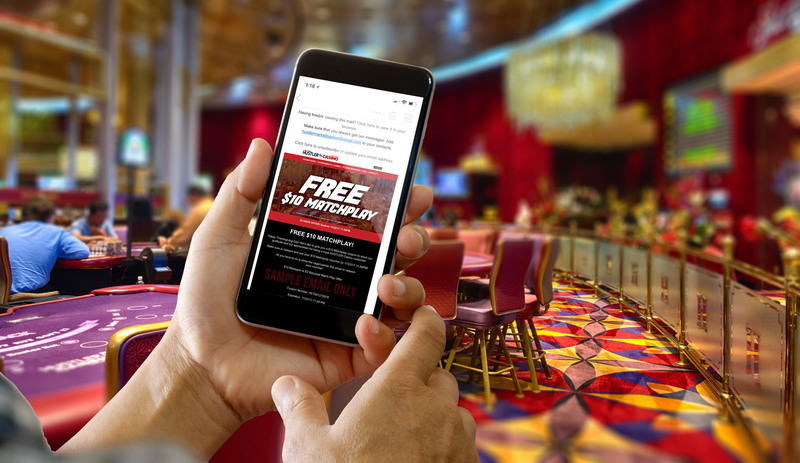 By clicking the subscribe button you agree to receive emails from Hustler Casino. HUSTLER CASINO is LA’s only luxury casino, with a focus on style, service and sophistication. We are open 24 hours a day, 7 days a week dealing all your favorite games like Blackjack, Limit and No Limit Texas Hold’em, No Collection EZ Baccarat, Three Card Poker, Pai Gow Poker and more. We are also home to LA’s largest seeded progressive jackpots. In addition to amazing gaming action, HUSTLER CASINO features great dining at Larry Flynt’s Bar and Grill®, live entertainment and LA’s hottest dealers inside the Blackjack Lounge, and Liz Flynt’s Shorty’s Stuff Gift Shop. We are located just 15 minutes south of Downtown Los Angeles and the South Bay, and ready to show you why we’ve been voted Best CASINO 4 years in a row! Visit us today — we’re looking forward to your visit. Larry Flynt’s HUSTLER CASINO Los Angeles… Play Harder.